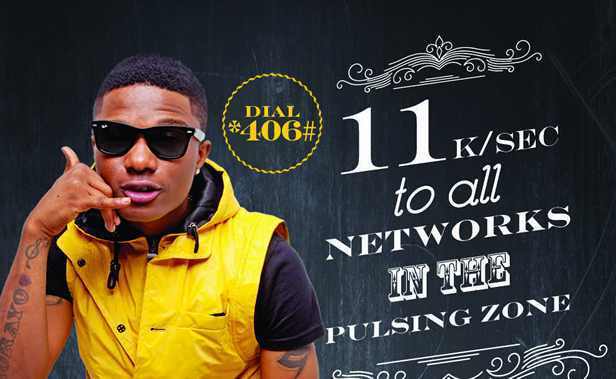 MTN Nigeria has relaunched the famous iPulse call tariff plan that allows you to call all Networks in Nigeria for 11 kobo per seconds, gives 10MB data cap on 100 Naira recharge, send text messages at N2, gives access to students’ friendly services. The MTN iPulse tariff plan is a big relieve to youths in campus and tertiary institutions in the country, N2/SMS is good enough thing for every student as you can easily meetup with course-mates for group reading and projects without having to spend so much airtime. All campuses (universities, polytechnics, college of education, school of nursing, police academy and sundry) and its surrounding environs are regarded as the “iPulse Zone” in the new MTN iPulse tariff plan. You will get the most affordable price on call and data services once you’re in an “iPulse Zone”. The free goodybag social bundle and 10mb on N100 recharge should come as a deep relieve to many of us in the higher institution that needs affordable data plans like this to keep up with our research work and basic social network needs. To migrate to the new and improved MTN iPulse tariff plan, you need dial *406# from your phone or device’s USSD menu. The 10mb per N100 recharge is a once_in_a_week offer and the 11k/sec starts immediately after the first minute has been charged at the regular 40k/sec. This is a very tempting offer for students and those staying around the campus environment. Update, March 2015! Due to the instability of the MTN iPulse around the campus environment and the flexibility of the MTN zone plan. It is wise a decision to go with the MTN zone plan if your primary use for the SIMcard is calls and not data or other extras. The zone plan tells you when call rate is low (off-peak), medium or high (peak time) before sending the call. You can migrate to the MTN zone plan by dialing *135*1# or text 135 to 131. What’s your take on this tariff plan? Will you be migrating any time soon? Thank you for thus tariff plan. This would definitely help cut down expenses on calls especially to other networks. hope your week was great?